Christmas is coming up quick and we know it can be tough trying to find the perfect gift for any guy, let alone a guy in the army. If you’re stuck for Christmas gift ideas for your boyfriend don’t fret! 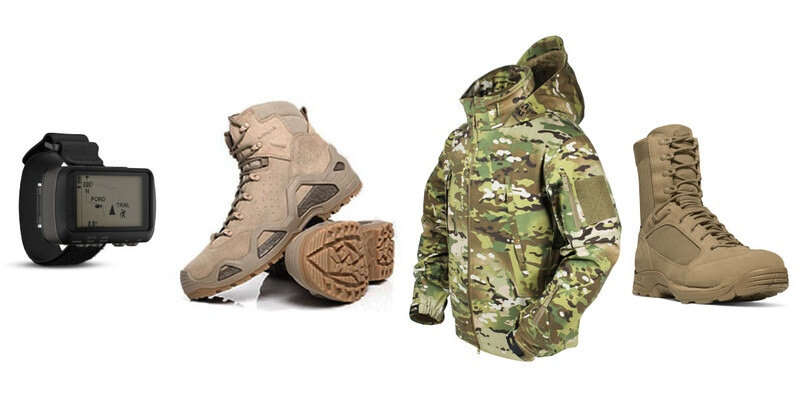 Here is our go-to gift guide for any man in the military or going into the army. Give your man a free feeling in these state of the art, knitted fabric bamboo trunks. Not only are they super comfortable, durable and keep their shape, they also have anti-bacterial and anti-odour properties it is a win for his comfort and a win for your washing machine! Your boyfriend will feel warm and comfortable in the 360 degrees Active Thermals. These thermals are lightweight to ensure anyone wearing them can maintain at their peak performance, even when sweating and gross. And bonus! This thermal is Unisex so enjoy two for one, this is your chance to ‘borrow’ your boyfriend’s shirt and feel just as comfortable as he would! We are in the digital age, everyone has their phone with them at all times. This simple gift will keep any man’s phone, camera, or watch safe and dry no matter where they are or what the weather is! Sea to Summit Lightweight Dry Sacks are incredible value. This sack is light, durable, and compact! Squash it into other bags or keep it separated, this bag is designed to keep contents dry in any wet situation. A perfect must-have for anyone who likes sea kayaking or seeks outdoor adventure. Being durable and lightweight, the Camp-A-Box Series is the compact mess kit developed to meet all the eating utensil requirements and still not weigh an ounce more than necessary. Any guy after a light meal is set and ready to go with a plate, lid, cup and spork, all in the one Camp-A-Box. If you want to buy for any hungry man who likes to eat, go for the WILDO CAMP-A-BOX COMPLETE. No one likes wet socks! These Bamboo fast drying socks are perfect for anyone out in the wet and wild. They are longer than any standard work sock which is handy when wearing higher boots. They retain the anti-bacterial and anti-odour properties like the briefs, and the bamboo and Coolplus wicking fibre are famous for extra durability and fast drying characteristics to keep those feet dry and warm! No smelly, wet feet here! For those who don’t know what we’re talking about, shemaghs are traditional desert wear and are essential for protecting your nose, eyes, ears, mouth and neck from the sand, dirt and wind. These cotton shemaghs can be used in a wide number of ways including a towel, neck warmer, dust protector, concealment aid, blanket and many others. All of that in one simple gift! Your partner can move freely and stay warm with these 360 degrees Active Thermals. The characteristics of this thermal keep athletes warm and dry throughout a range of climatic and aerobic conditions. The lightweight fabric is not only super comfortable, but the design technology also wicks sweat from the skin, increasing the evaporation rate, allowing any man on the go to maintain their peak performance level. Let there be light with the Princeton Tec Fred. 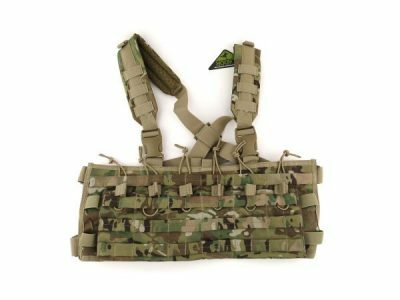 This multicam has an ergonomic design, is lightweight and reliable function, making it one killer headlamp. With night adjusted vision your man can tackle any task at hand, at any time of the day. Looking for something extra? Pack your Princeton Tec headlamp in this lightweight, Princeton Tec stash case. Everyone loves a swifty and convenient drink bottle! Sometimes a man needs one HydraPak product, sometimes he needs several. The all-new Trek Kit combines it all! This kit has 3L Seeker storage, a Plug-N-Play Cap, a silicone drink tube and valve, and a dispensing insert. Isn’t it beautiful when things come together? Any army or military man can sleep in peace with the Jungle Hammock. This hammock is great when anyone needs protection from biting insects, but don’t want to carry a tent or separate net around. The hammock has all the benefits of our Tropical Hammock, but with a mosquito net built right in. Strong, simple and reliable, this hammock is the perfect solution to an undisturbed night’s sleep when you’re in the great outdoors. Not only do our softshell jackets look great, but these jackets are also designed for comfort and utility and are ideal for those cold nights outfield, kicking in doors or just hanging with mates. 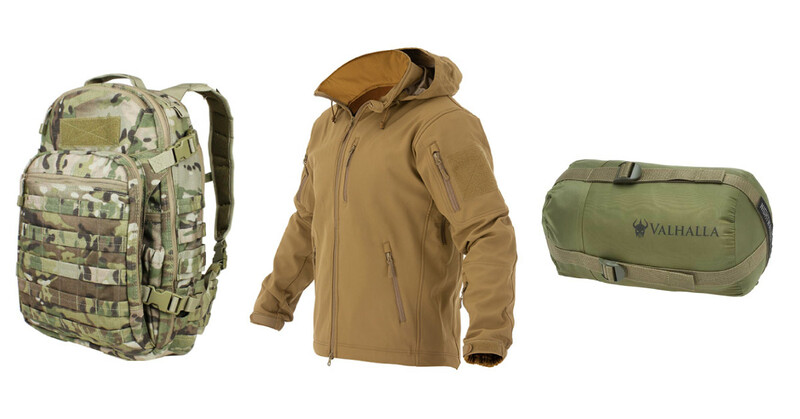 For the army and military men, the three-layer integrated shell with its water-resistant fabrics wicks moisture while maintaining body heat is a must-buy. It also includes a phone pocket with headphones port, so any phone is conveniently nearby and staying dry! Your army or military boyfriend can carry anything and everything from A to B with the Condor Venture Pack. Designed to be comfortable and convenient, this backpack has five different compartments, a detachable waist belt, and padded mesh backing for reinforcement and airflow, it is definitely a must-have backpack for any adventure goer and lover of the great outdoors. 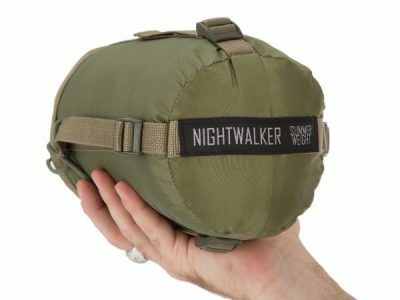 Following up from the Jungle Hammock, the Valhalla Nightwalker Series of sleeping bags are designed specifically for use in any tactical environment. 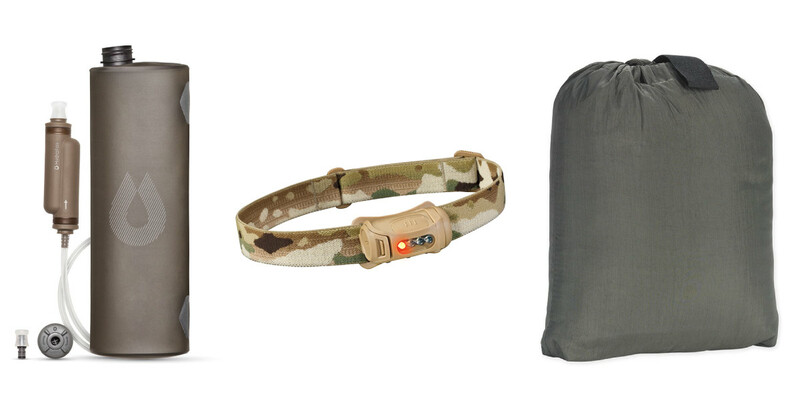 With a compact design and a waterproof base, this is the perfect gift for any army man who loves his sleep. Forget about the days of trying to stuff a large sleeping bag into a small sack, this sleeping bag easily slides into its heavy duty case. Your man will never get lost again! Navigate the world hands-free with the Garmin Foretrex 601 GPS. With durable, wrist-mounted GPS navigators, this GPS is built to military standards. Your man can keep his bearings nearly anywhere with GPS, GLONASS, and Galileo satellite systems. 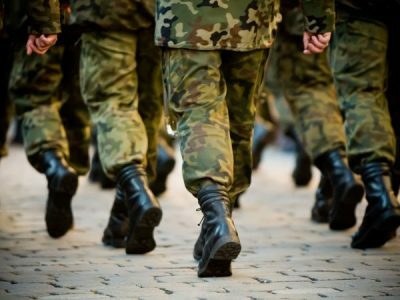 Any Army man can walk in style and still perform his best with the NSN Danner TFX boots! Being lightweight and versatile, these boots are designed for speed and constructed for stability. They are definitely a must-have for any guy who loves the outdoors and seeks adventure. Being a jacket designed for performance, this is a perfect gift for someone going into the army. The Summit Zero answers the call to carry everything anyone needs without being bogged down by the weight of the jacket itself. Designed to have increased articulation, comfort, protection, and breathability when in the field, the Summit Zero’s featherweight construction reduces weight by 30% compared to a traditional summit. Any man in the military can run, jump, and duck in the rough and tough outdoors with the Lowa GTX Boots. They are waterproof, durable, and breathable so they are the perfect boot when any guy is ready to perform for anything. 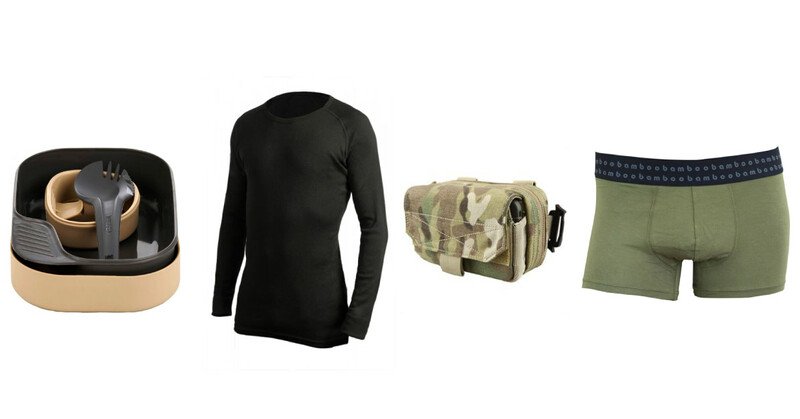 So there you have it, our go-to gift guide for your army boyfriend on any budget. With these gifts, you’re going to be in the good books this gift-giving season. If you’re stuck for ideas, these gifts are even suitable for your dad, brother, or friend. If you’re tight for money right now, don’t stress! We have a range of payment methods, including Afterpay and Openpay.